The method below doesn't work anymore. 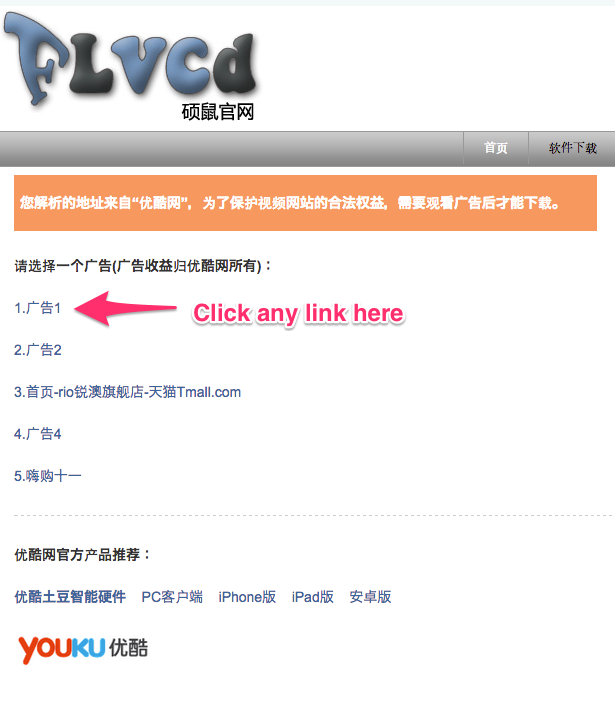 Copy the Youku video link and open a new tab in browser. A new page will appear and you have to watch the AD (15 seconds) before the download link will be revealed.